Help give the youth of the paddlesports community a fantastic day out by supporting rescue at this years Junior Liffey Descent on Saturday the 14th May 2016. Register below if you are available to help out on the day. Canoeing Ireland are recruiting a Senior Instructor to develop participation through the Canoeing Ireland Training Centre and increase quantity, quality and diversity of courses offered by Canoeing Ireland. Job Specification and Details can be found here. Application process will close at 5pm on Tuesday 10th of May 2016. A huge congratulations to Michael Fitzsimon who spent the weekend mixing it with Denmark, Sweden, Norway and Finlands best at the Scandinavia Champs. Michael pushed World Champ Renee Poulsen all the way! Barry Watkins-Irish Sprint Kayaker was 2nd in B Final. Fantastic Result! Well done. 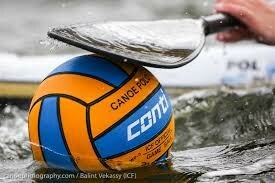 The company AGENTO JEWELLERY (Pete Boyle) has kindly put forward a sponsorship deal for Junior Canoe Polo. 5 clubs will receive €2000 each. Kilcock 2016 takes place on 25th June. Hopefully in 2017 there will be a third competition. If there are more than 5 clubs entered, the €2000 will go to the clubs with the highest points at the end of the two competitions. 1 point for each team entered. 2 points for 5th place in division. 3 points for 4th place in division. 4 points for 3rd place in division. 6 points for 2nd place in division. 8 points for 1st place in division. Pete Boyle and Patricia McCormack will keep records of the points system. This sponsorship must be spent on Junior Canoe Polo. A report on how the sponsorship is spent is a requirement of accepting the grant. The ICF is calling for designs and models for new Canoe Slalom Gates that would allow the audience and spectators to clearly understand touches by athletes. The design of the Gate should easily demonstrate when a touch is made by an athlete. The goal is to further enhance Sport presentation at our events. The gate design can be electronic or mechanical in nature. The Gate system should be usable for all levels of Canoe Slalom competition. The ICF will award one (1) cash prize to the selected design for electronic gate and one (1) cash prize for the selected design for mechanical gate, plus further help in construction for the selected projects for making a prototype. The competition is open to fans, athletes, coaches, national federations and companies related to canoeing. You can apply by email to info@canoeicf.com. The ICF will accept drawings, videos, sketches and powerpoint presentations of potential designs. Deadline for submissions is 1st July 2016. The ICF Canoe Slalom Technical Committee and ICF Vice President and Three times Olympic Gold Medallist Tony Estanguet will be the judges for the design competition. Note: ICF reserves the right to select components of each entry and use the designs in whichever format it deems appropriate. Recognition will be given to those parties from which any use of novel or innovative ideas are taken. 3,000 Volunteers Out In Force for Special Olympics Ireland’s Annual Collection Day, proudly supported by eir. New Blueway 10K Workshop Dates confirmed for Blueway 10K Activity Partners who wish to deliver the Blueway 10k programme. This workshop is designed for any instructors or coaches who want some support in delivering Blueway 10K or who just want an opportunity to upskill their forward stroke. The Kilcullen Canoe Club annual ranking race has been postponed until further notice.